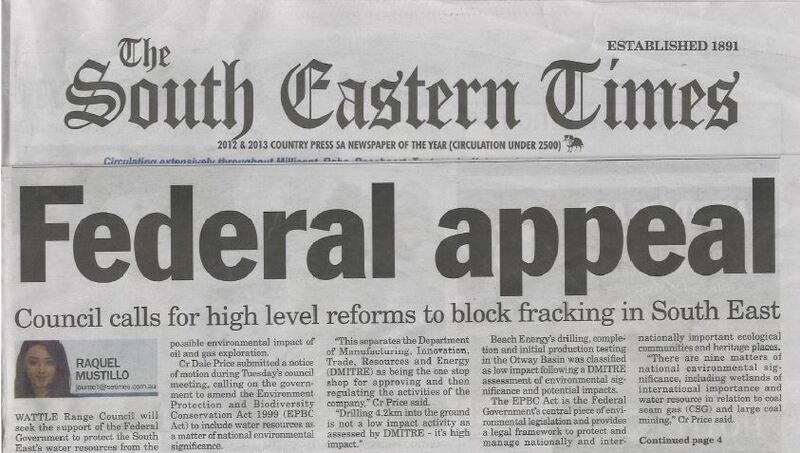 South Eastern Times article March 2014 – Wattle Range Council calls to protect the South East’s water resources from the possible environmental impact of oil and gas exploration. 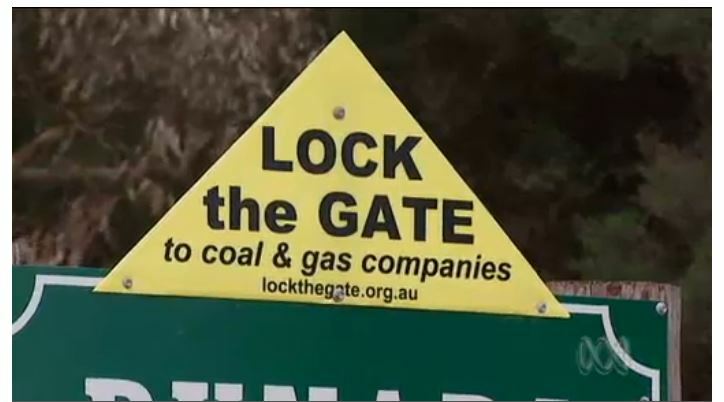 Hydraulic fracturing or fracking is a mining technique that’s created controversy interstate. It’s the first time the practice has been considered in one of the State’s agricultural areas and the controversial technique is causing concerns for local farmers.